If your youth tackle football league and its directors, officers, and coaches are sued as a result of a brain injury to a current or past participant, under what standard of care will you be judged? Duty is owed to act as reasonable and prudent youth tackle football and cheer administrators and coaches by following the national standard of care regarding to concussion/brain injury protection. Duty is breached by not following the national standard of care. The breach is the cause of the injury. As regards the standard of care, the courts will look to expert witnesses who will testify that the standards of care are set by the recommendations of the governing body (USA Football), National Federation of State High School Associations (NFHS), and state concussion laws. 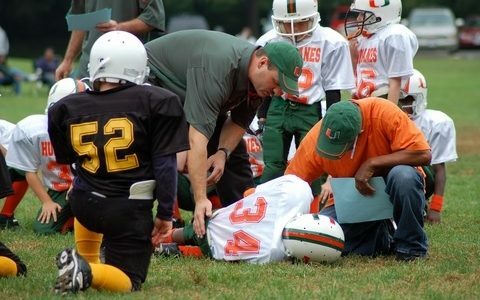 We have designed a concussion/brain injury risk management program for our American Youth Football and Cheer (AYF) clients that addresses most of the standards that have been set by these organizations and state legislation. See our Football/Cheer Concussion Awareness Risk Management Program (short form) in our risk management library. If you want to see how standards work in an actual brain injury litigation case, see the synopsis and summary of the pending Chernach vs. 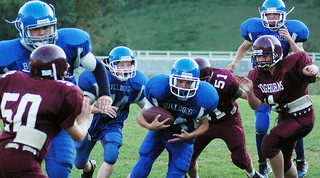 Pop Warner lawsuit by a law firm specializing in brain injury litigation. Ask yourself how you think your local association would fare in its legal defense if a similar claim were to be filed? In my opinion, most of the allegations in this lawsuit seem to be without merit, though legal defense costs will be high. Very few of the concussion standards were in place at the time of the alleged injury and the plaintiff was exposed to high school football and 12 years of wrestling in addition to youth tackle football. However, concussion/brain injury standards are certainly in place now. Ignore the standards at your own peril.